The cast of "The Wiz" (L-R Michael Jackson, Nipsey Russell, Diana Ross and Ted Ross) pose for a publicity shot in 1978 in New York, New York. The movie was directed by Sidney Lumet and produced by Universal Studios. NBC will adapt the “The Wiz” for their next live musical. And this time, they’re not just stopping on TV, but taking the show all the way to the Broadway stage. 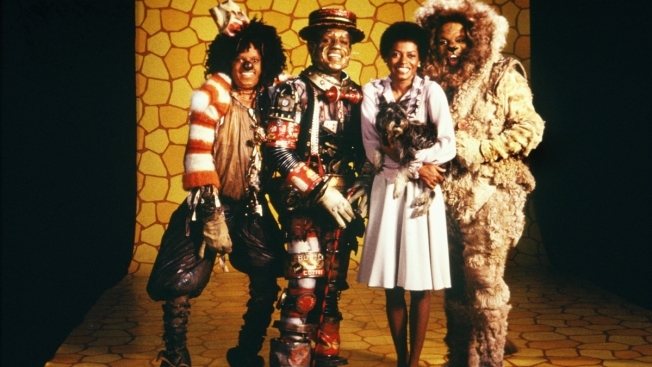 With music and lyrics by Charlie Smalls, “The Wiz” features some of Broadway’s most-iconic songs, including “Ease on Down the Road,” “Home” and “Brand New Day.” The hit 1978 film version starred Diana Ross and Michael Jackson as Dorothy and the Scarecrow, respectively.